You have 1727 characters. Don’t forget to add important and relevant keywords in your description to improve your iTunes app page and optimize your SEO. 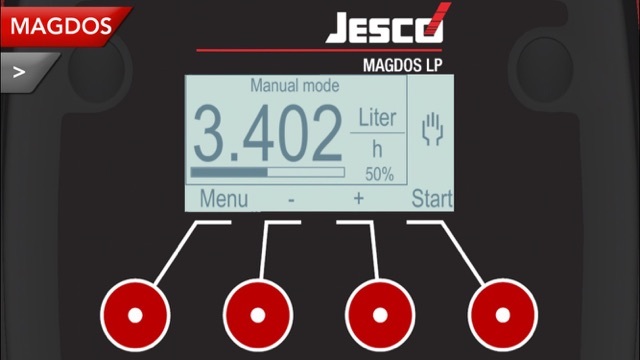 Comprehensively inform yourself about the new generation of dosing pumps using the new App from Lutz-Jesco. Zoom into the smallest detail in the 3D view. 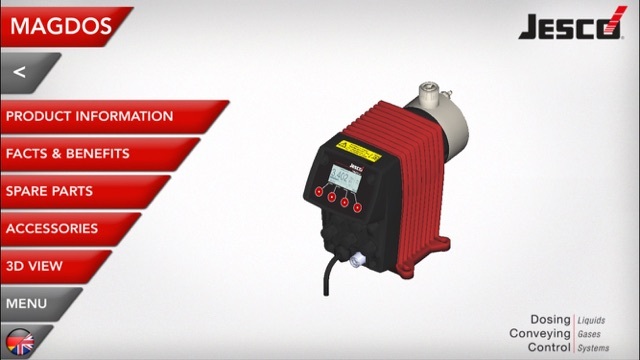 Inform yourself about the comprehensive range of accessories and spare parts for dosing pumps. 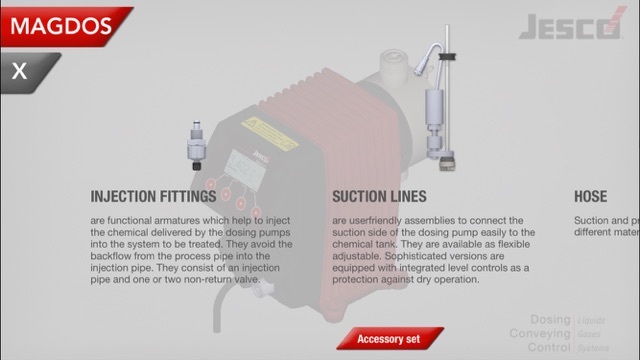 View the product information for each version of dosing pump. 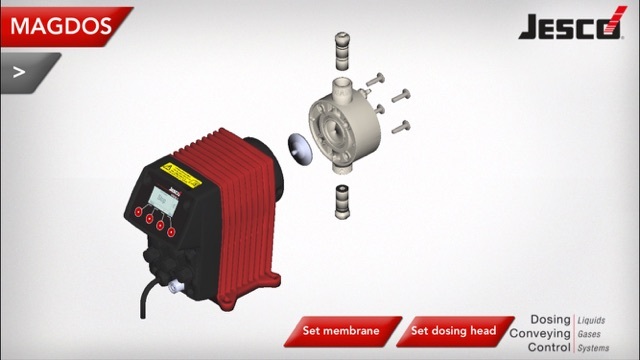 Convince yourself of the easy operation of the dosing pumps with their menu simulation. Here, all parameters required for your applications can be easily set and that in 5 languages. Lutz-Jesco is your reliable global provider in all fields of water treatment. Products for liquid, solid and gaseous media from our dosing and conveying technology divisions, such as dosing pumps, peristaltic pumps, gas/vacuum controllers and dry feeders, daily leave our factory premises for places around the world. There are also measurement and control assemblies for liquid and gaseous media, complete systems for the disinfection of drinking water, chemically resistant high-performance centrifugal pumps and customer-specific solutions for dosing applications. Over 150 different products with several thousand variants are now produced and sold by Lutz-Jesco at their head office in Wedemark. 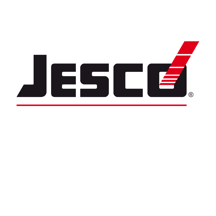 With other branches in Austria, Hungary, the Netherlands, Great Britain, USA, the United Arab Emirates and Malaysia, Lutz-Jesco has built up an international sales, support and production network. Lutz-Jesco is now represented in 70 countries around the world.